The days when the main tools available to translators were pen, paper and a dictionary are long gone. The days of using translation memory as the main productivity resource also seem to be nearing their end. 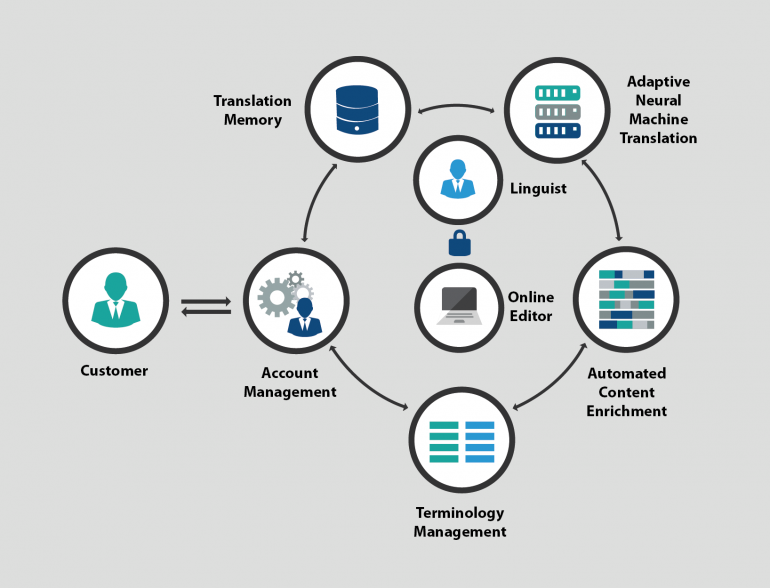 With so many different tools and technologies available on the market, let’s not forget the most important part of the translation process – the human. This has seen a new term being coined to describe the phenomenon. As Eggers, Schatsky and Viechnicki explain in their 2017 whitepaper, “An augmented approach to translation increases productivity and quality while leaving the translator in control of the creative process and responsible for aesthetic judgments”. Sometimes the same concept is also called “intelligence augmentation“. The term “augmented translation” is not entirely new. It has been coined by Common Sense Advisory (CSA), a research company specialising in the area of translation and localisation. CSA has drawn inspiration from “augmented reality”, meaning phone, tablet, headset applications overlaying images of the world with additional information like sensory data. Pokémon Go comes to mind as a good example, but the same approach has also gained importance in industrial applications.